Increase productivity and stay focused wherever you are with Jabra Speak™ 510+ UC, a portable unified communications speakerphone that gives you the power to literally turn any room into a conference room. 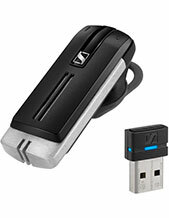 You get outstanding sound quality and a plug-and-play solution that can connect to your PC, tablet or smartphone via Bluetooth or USB. 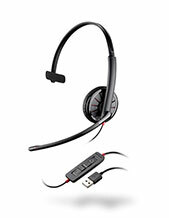 Jabra Speak 510+ UC has a compact design and a travel case that make it well-suited for transport. Whether it's setting up a quick conference call in someone's office, or taking it along on the road, collaboration is made easy. 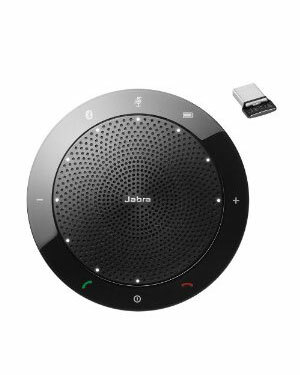 Jabra Speak 510+ UC features an intelligent microphone and a powerful speaker that enable 360-degree coverage meaning that everyone in the room can be an active part of the conference call without thinking of where the speaker are placed. 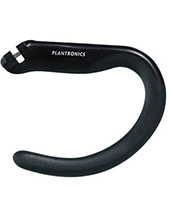 This gives you a professional solution wherever you choose to place the call.